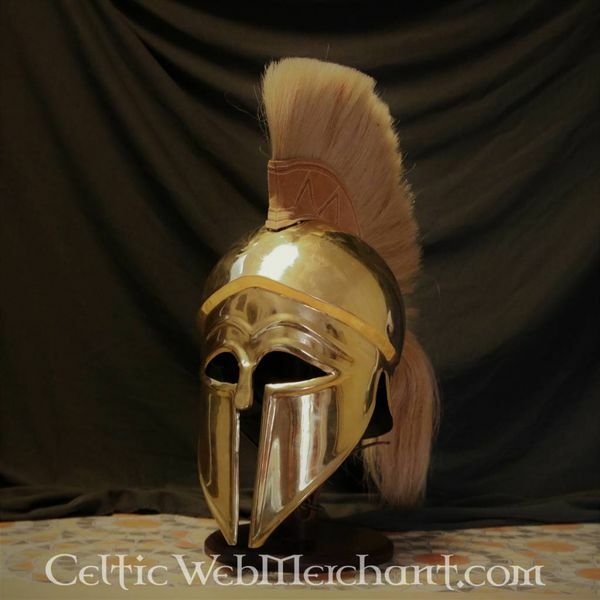 This type of helmet was especially popular in the Archaic period, the 8thto 6thcentury BC, and only later in this period it had a crest. 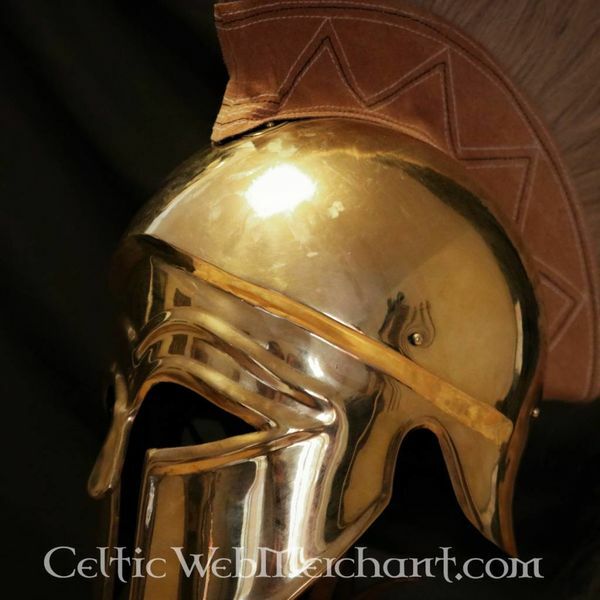 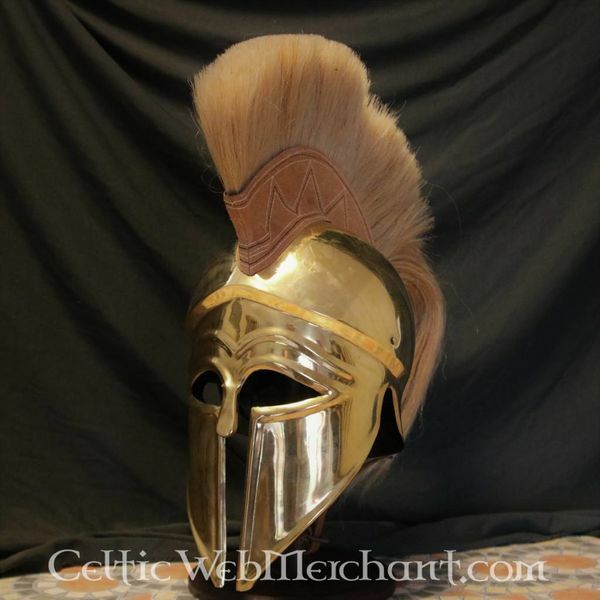 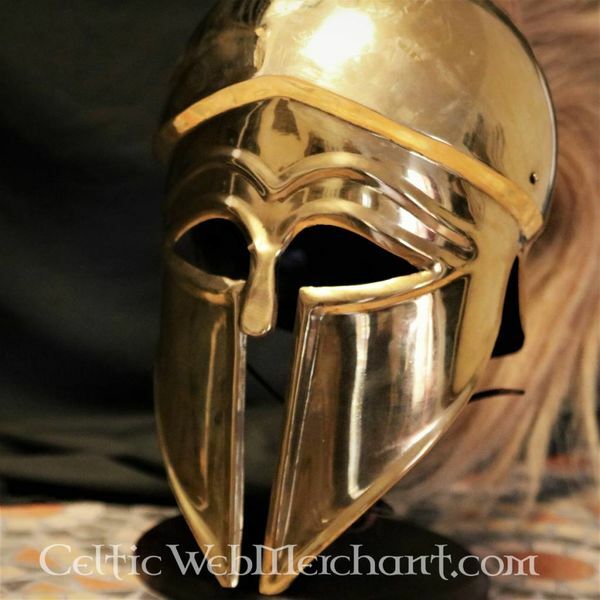 Since the 5thcentury BC people started to favour the Thracian helmet, which offered a wider field of view. 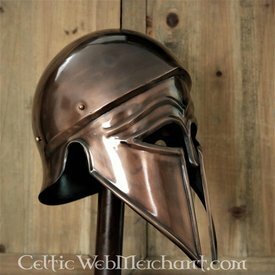 The Corinthic helmet was generally made of bronze and covered the whole head, while there was a small opening for the eyes and the mouth. 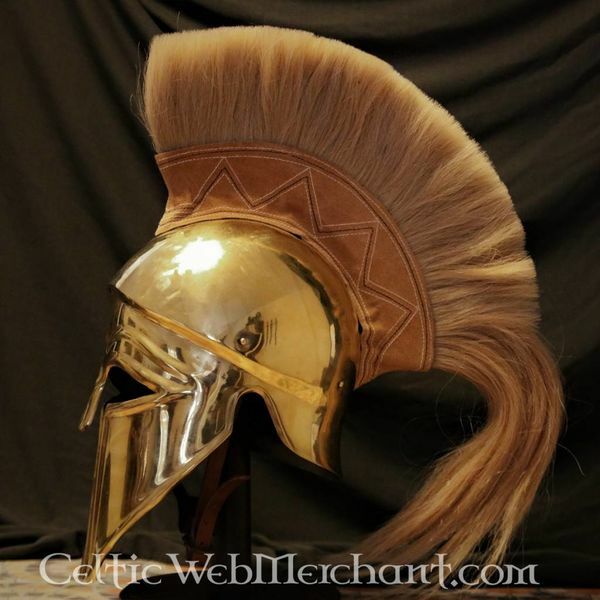 Later on the helmet was also worn by the Republican soldiers of Rome. 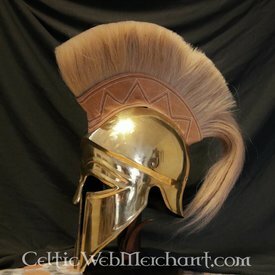 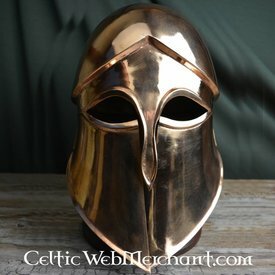 This helmet is made of 1,5 mm thick brass. 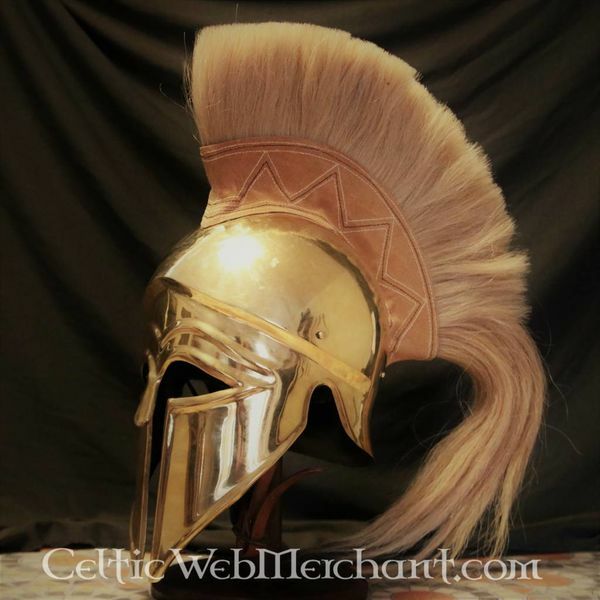 The crest holder is decorated with a simple geometric pattern. 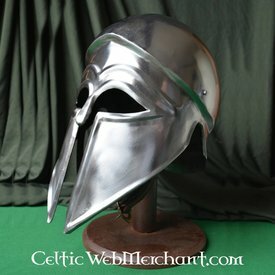 It has a leather inlay and a strap to fasten it under the chin. 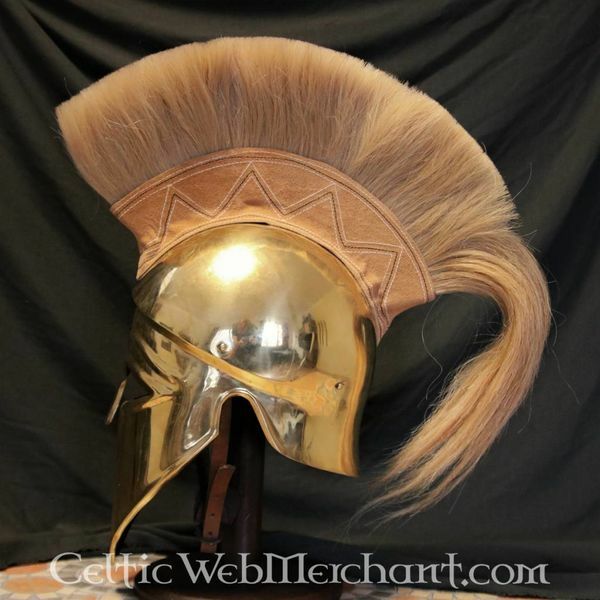 The helmet is suitable for a head circumference up to 59 cm and it weighs approx. 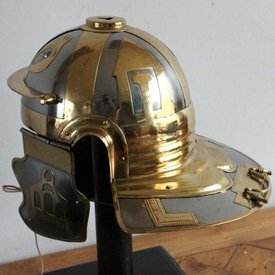 2,4 kg.